Amami Oshima is home to a wide variety of delectable foods and treats, however some outshine the rest as the main products on the island. 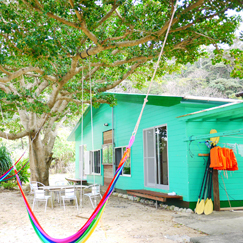 The mild subtropical climate on Amami Oshima is ideal for various plants to prosper, many being fruits that the native Amami people have incorporated into popular products for visitors to take back with them as a souvenir of their trip. 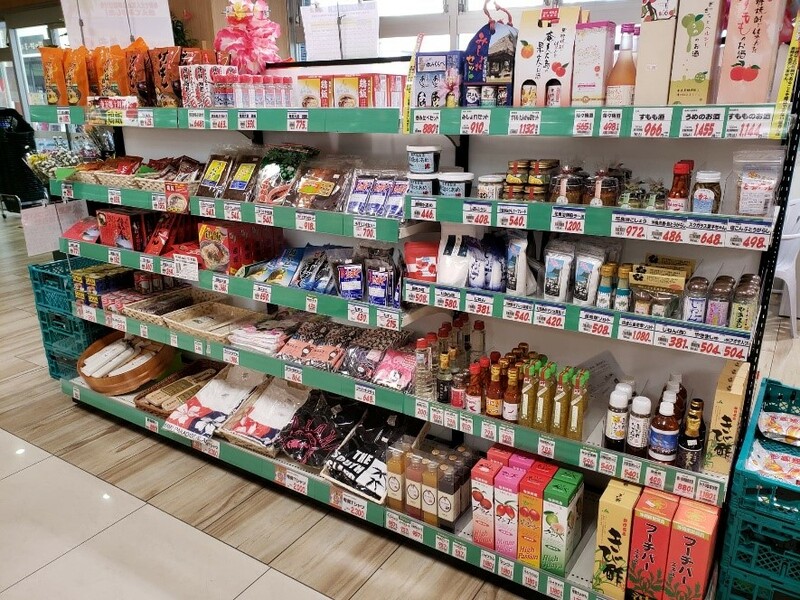 I’d like to introduce a few of those foods in this article to give visitors a better idea about the dynamic tastes of Amami! 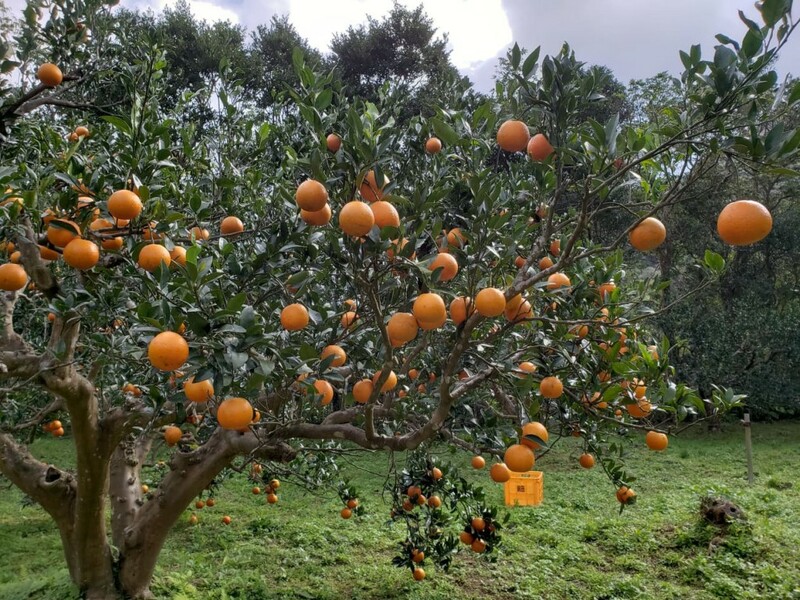 Tankan is a variety of citrus that is a cross between the Ponkan citrus and the Navel orange, and it is in season from the middle of February to the end of March. 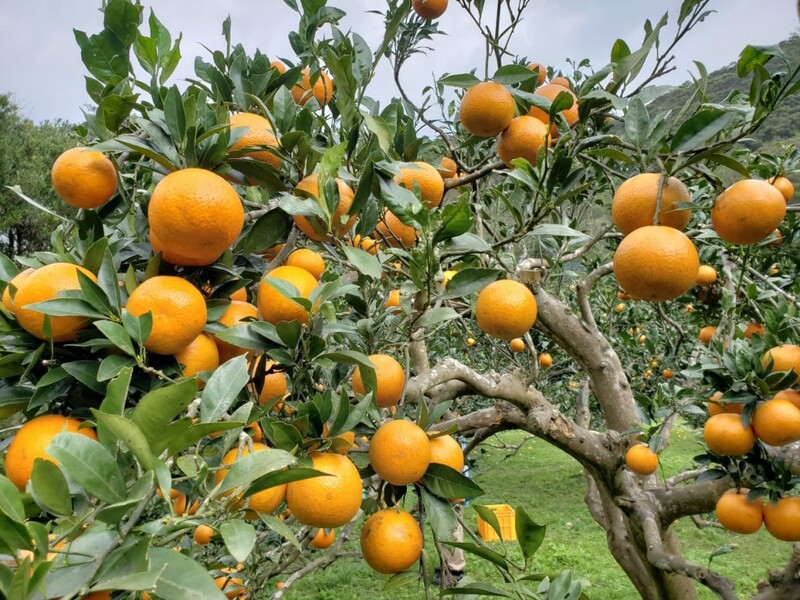 Although there are other varieties of citrus grown on Amami, Tankan is the most widely produced variation. 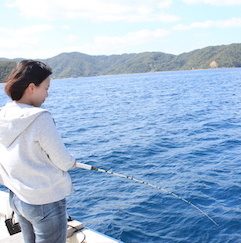 The rich soil on Amami provides the ideal environment for Tankan, so it is produced all across Amami Oshima. Tankan has a slightly bitter yet sweet taste, making it perfect for jellies, juice, or just eating it straight from the tree! 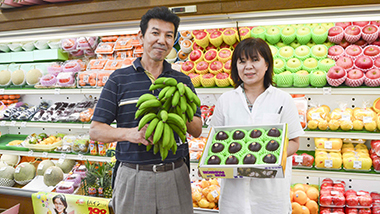 Passion fruit is another widely produced fruit on Amami Oshima. It is in season from April to August, as well as November to February. The delightfully sour but sweet juiciness of the passion fruit seeds are a great everyday snack, and many like to drink it as juice or mix it into ice-cream. Passion fruit juice is also often mixed with Amami brown-sugar shochu (distilled liquor), giving this tasty drink a local twist. Eating passion fruit is an easy way to stay healthy too, as the fruit seeds are high in vitamin and minerals. Sumomo is a variation of the Japanese plum, but it is distinct from the ume plum that is found in other areas of Japan and Southeast Asia. The season for sumomo on Amami is May to mid-June, so it is the earliest time for sumomo amongst other areas in Japan. 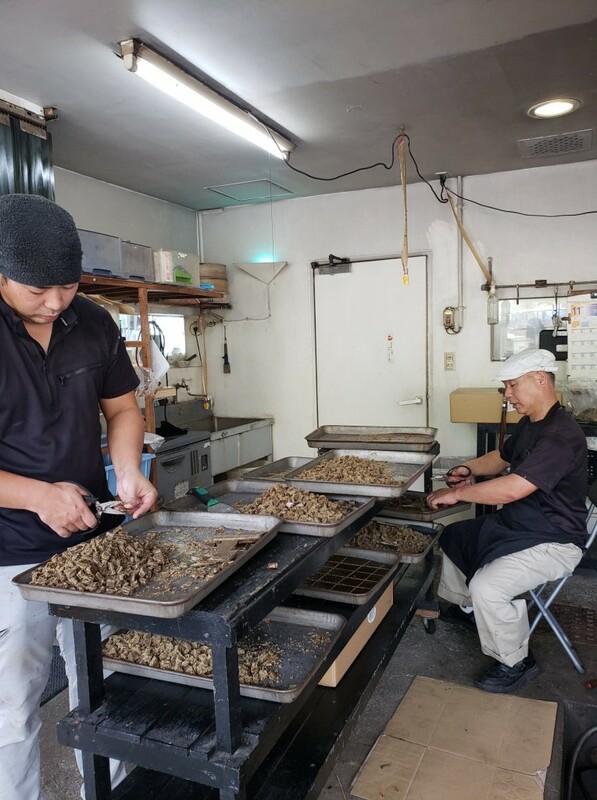 The town of Yamato on the Western side of Amami Oshima is famous for its plum tree farms, but there are other areas that produce it in the Southern areas of Amami as well. The juicy fruit is delicious eaten whole, but you can enjoy the fruit juice, jam and jelly Sumomo products as well. Brown sugar cane was first brought to Amami around 400 years ago by Kawachi Sunao, a man from Yamato town on Amami. On his way towards Okinawa a typhoon strayed him off course and he ended up landing in China. 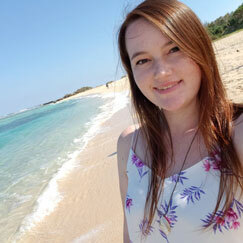 While he was in China he learned how to harvest brown sugar cane, then ended up bringing some back with him to Amami. 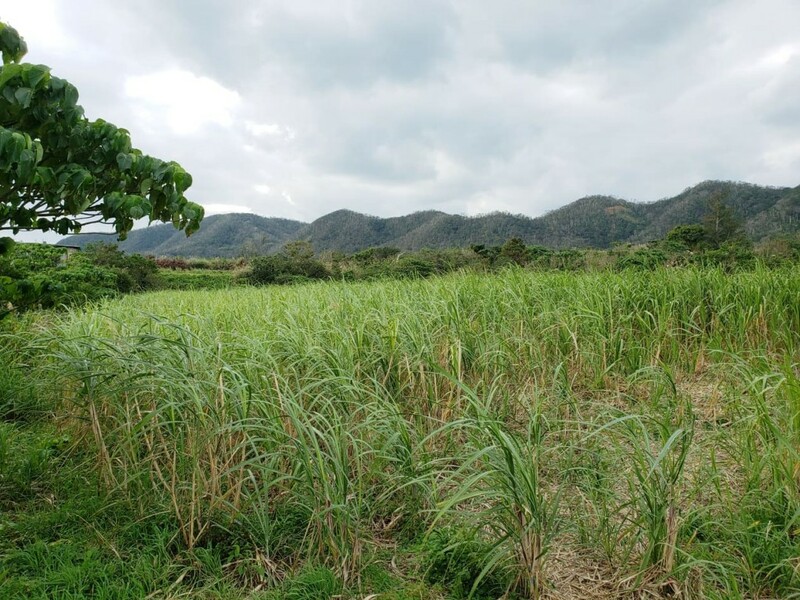 While brown sugar cane is produced here and there all over Amami, the flat land in the Kasari region of Amami City led it to be the largest area on Amami Oshima that brown sugar cane is grown. Brown sugar is high in various vitamins and minerals, and contains some calcium and protein as well, making it a healthier alternative to white sugar. Products made with Amami brown sugar are very popular on the island, especially the brown sugar shochu (distilled liquor) that is produced with it. The brown sugar gives it a slightly sweet flavor, without any actual sugar content in the liquor! 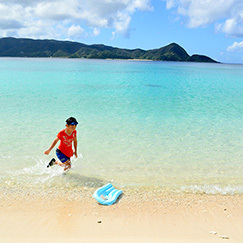 Sea salt made with ocean water from Amami Oshima is rich with nutrients from the coral reefs that surround Amami. 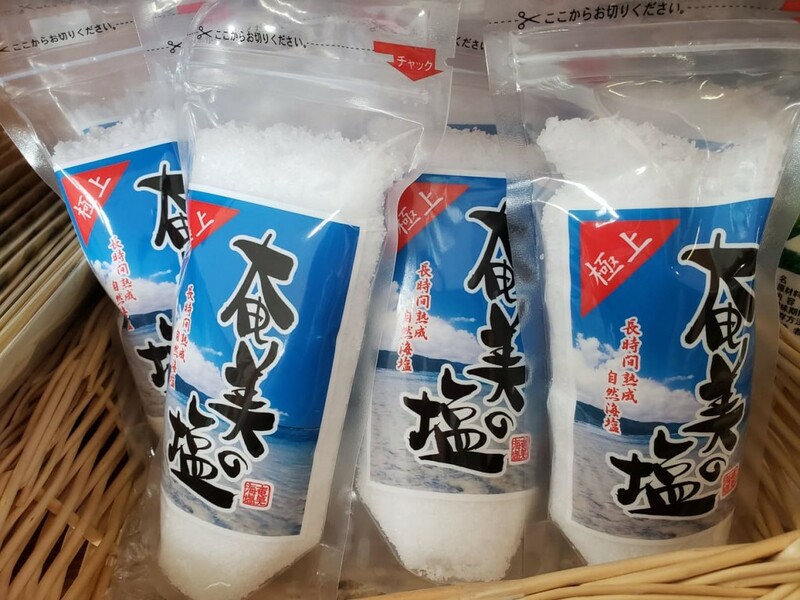 Amami-made sea salt brings out a distinct umami taste, so it is often a key ingredient for adding flavor to dishes. 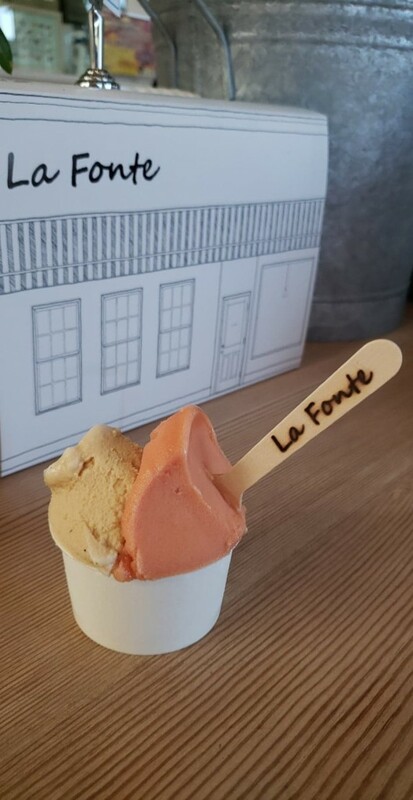 An island favorite is gelato made using this coral salt, which can be found at shops like Antica Gelateria in Naze of Amami City or La Fonte in Kasari town, Amami City! Aside from the shops listed above, the Green Store supermarket is another great place to check out! 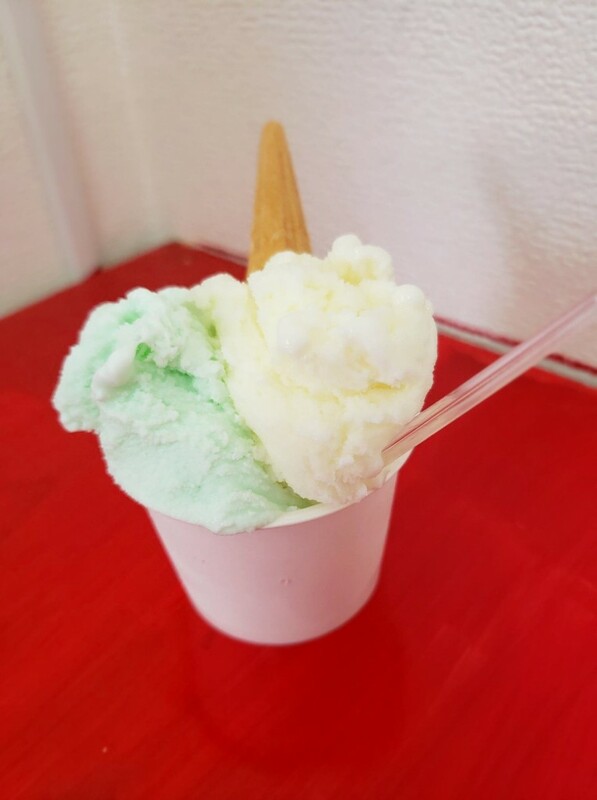 I hope you’ve enjoyed this article, which is the first part of a series introducing the many flavors that one can experience on Amami Oshima!